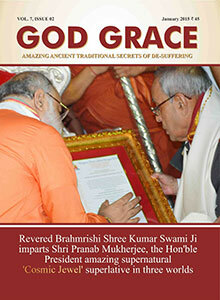 Monthly Prabhu Kripa Magazine: Fill out this form to subscribe to the monthly magazine: Magazine Subscription Form. Hindi Magazine Dispatch Status for April 2019: Mailed to all subscribers on March 28, 2019. Punjabi Magazine Dispatch Status for April 2019: Mailed to all subscribers on April 11, 2019. English Magazine Dispatch Status for April 2019: Mailed to all subscribers on April 11, 2019. Samarpan - us saaqi ko, jiska jaam pee kar, yeh bejaan kalam anaayaas hi kagaz ke seene par machal uthi hai. Maykhana is a divine book written by Gurudev at the age of 12 takes one to a divine journey to meet the ultimate reality, God. Maykhana according to its popular meaning is a place where liquor is served instead it unveils and unravels the deep cosmic mysteries. It is a poetic epic, facilitated by the President of India and appreciated by prominent poets including Late Harivansh Rai Bachchan. It contains songs of pure and divine ecstasy. The couplets of Maykhana bear the qualities of water-simple, pure and essential to life. It is a collection of most precious answers given by Param Pujya Gurudevji to the questions people have in their minds and hearts. Brahmrishi Shree Kumar Swamiji is one of those rare, gifted beings who have gone to the deepest core of the cosmic mysteries. He has dedicated his life to eradicate the sufferings of mankind. Gurudev has traveled over 50 countries where he lovingly offers cosmic tools to thousands in the Cosmic Grace Conventions. In these conventions people of every religion caste creed and nationality have found solutions to their problems. This book is a presentation of some of the unique conventions held around the world. His Holiness Brahmrishi Shree Kumar Swamiji is a remarkable God gifted genius, unparalleled in the disciplines of comprehending the secrets of the universal truth. He has touched the lives of thousands with his love and benevolence. Param Pujya Gurudev has unveiled the greatest mysteries of Cosmic Grace which have remained inexplicable for centuries. His mission in life is to serve the humanity by empowering them to help themselves through the secrets of divine science of cosmic grace to achieve optimum health, wealth and divine knowledge. Brahmrishi Shree Kumar Swamiji has propounded the fact that everything that we can see or cannot see comes from the play of cosmic energy. According to him the sole cause of all the sufferings of mankind is not to be in tune with the cosmic energy. He says that, the simplest way to be free from these sufferings is to get back in tune with the cosmic powers. Gurudev with his experience and in-depth study of cosmic science has developed methods and tools of this science to bring us back in tune with the cosmic energy. You may obtain these divine epics in any Prabhu Kripa Convention or by calling Ph. 732-494-8500, 1-877-90-BSLND or 216-929-4516.